Since 2nd grade, from the age of seven (7) I have known instinctively deep down that there were three things I wanted to be when I grew up: a singer, a teacher, and a writer, in that order. However, although I still might not be a “grown up” since I believe we must all fight the impulse to ever really become one, there are a few enduring “take away” lessons I’ve learned in the process of realizing each of these ambitions that stick with me like my AARP card. The happiest moments I’ve been privileged to experience were always shared. In studying music, my goal was to be an operatic diva. But the best things that happened always happened in rehearsals for projects that took us all outside of ourselves and our narrow, singular viewpoints, and gave us a peek at being a part of something larger. Similarly, in teaching, the times when groups of like-minded teachers had the opportunity to work together on big projects that affected the lives of many students for the good of the all form my fondest memories looking back. So, imagine my surprise when, in the highly competitive marketplace of getting into print, an opportunity to collaborate once again presented itself. 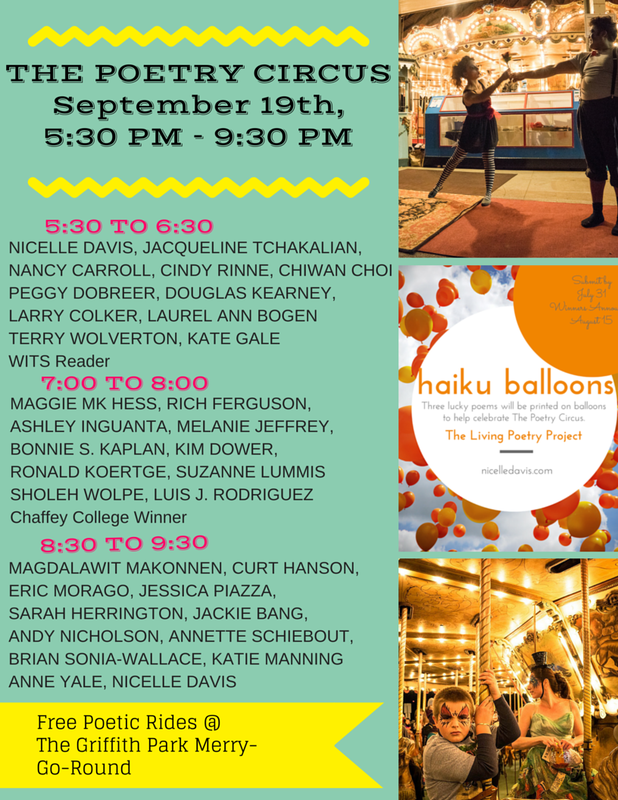 On Saturday, September 19, 2015, the results of this literary collaboration will be presented publicly at The Second Poetry Circus. 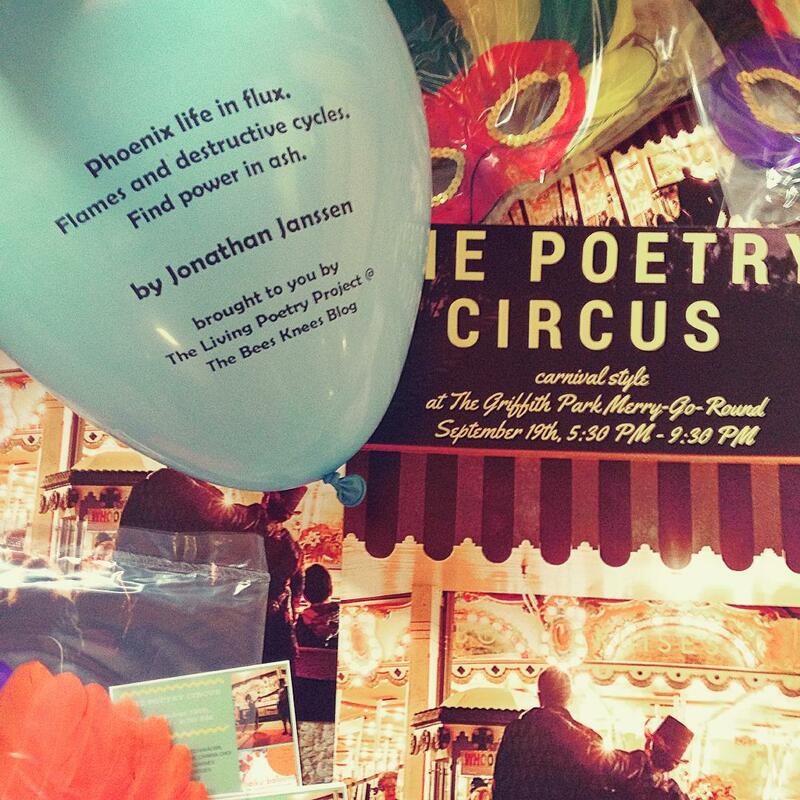 The brainchild of the wickedly talented and extremely energetic Nicelle Davis, The Poetry Circus is a collaborative effort that I am both proud and humbled to be a part of. No less than thirty-three poets/writers have contributed to the gorgeous chapbook that will serve as a sort of “program” to guide the audience through the evening’s presentations. 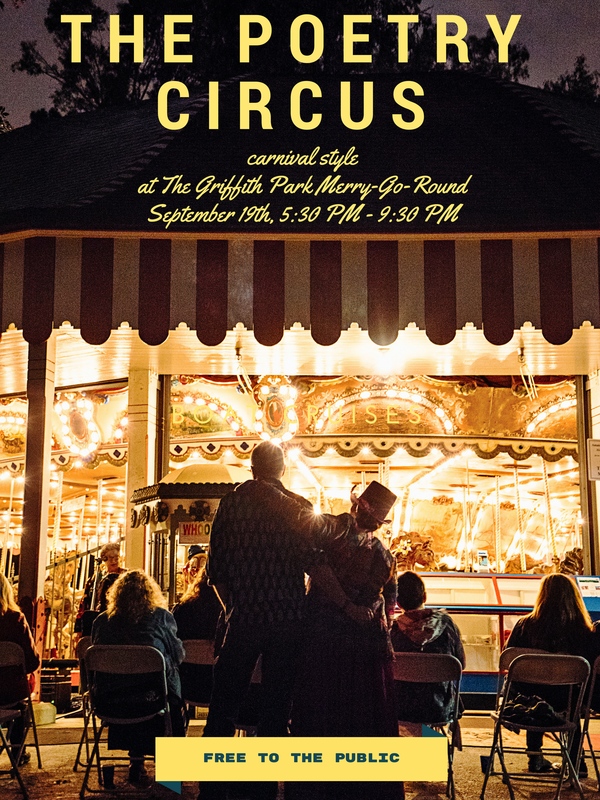 The event, slated to take place at the Griffith Park Merry-Go-Round in Los Angeles, CA, from 5:30 to 9:30 PM, will feature the poet laureate of Los Angeles, Luis Rodriguez, and offer readings by an incredible lineup of 32 poets, including me! There will be haiku balloons, circus performers, crafts for kids, free carousel rides, a book fair, and literary organizations all coming together to create something larger than the sum of its parts: a chance for people of all backgrounds, preferences, political leanings, and/or religious (or non-religious) persuasions to come together to experience, revel in, and celebrate ART that takes WORD as its medium. All I can say is that this beautiful dream that is the Poetry Circus proves once again that collaboration offers more inclusion, promises more memorable results, and is a whole lot more fun than competition ever was. Not only that, but it extends to everyone who ever wanted to run away and join the circus the chance to realize that dream and participate in the magic-making that is both the WORD and the circus. I am grateful for the love of my family: my parents and siblings (biological, as well as the “brothers and sisters,” travelers and “strays” my parents — especially my mother — were known to “take in”). Because of their constant example, I learned that people come first, things second. I am grateful for parents who let me make my own (often imprudent) decisions and live with the consequences of my actions. From this, I learned to make better choices for myself. I am also grateful for my husband (a good choice), my children and grandchildren, nieces and nephews, assorted cousins, uncles, and aunts. There are two things that run in this family: a keen sense of humor, and a love of food, both of which make life a joyous celebration. craving last year’s red galoshes. Eastern sky ablaze with rising. and meditate on my options. because I get another opening for contact. It’s a day I will spend with my grandsons! which knocks me from my feet. no day ever more perfect than this. 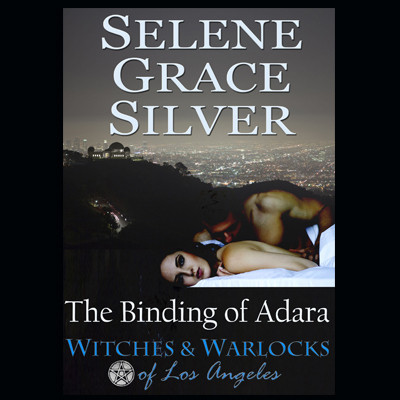 I have to admit, I hadn’t ever really paid much attention to the romance genre before, and the fact that Selene Grace Silver’s The Binding of Adara is not only a romance novel, but can also be classified as belonging to the “paranormal” and “historical” sub-categories, I was a bit skeptical at first. Okay, a lot skeptical. But Adara was not without tricks up her sleeve, and I found quite a few pleasant surprises that worked to dispel my doubts and preconceived notions about the genre. So, let’s take a stroll down Nostalgia Avenue, shall we? It’s really a groovy day. The Blackbyrds are “Walking in Rhythm” and John Travolta is “Staying Alive” – using his walk to tell us he’s a “woman’s man / no time to talk.” The mirrored ball overhead reflects the hopes and dreams of the bell-bottomed, halter-topped “disco” generation, and bra-burners across America are “raising consciousness” about women’s rights. Far out! Yep, you guessed it. It’s the 1970’s. Like many young people at the time, all I wanted to do was strap a guitar over my back, stuff a few pairs of hot pants into a back pack, paint my thumb (for securing free transportation) and set out for Hollywood, California, USA so I could be “discovered.” How romantic! That is, of course, until your ride breaks down on the side of the road, someone steals your money or makes off with your back pack and cold, hard reality sets in. Bummer, man! This is precisely where we first meet our heroine: the beautiful, innocent (and truth be told, a bit naïve) Adara Lane. She’s come to Los Angeles to seek her fortune, but ends up instead in a dive hotel in Hollywood, alongside a bunch of hard-partying Tom Waits wannabes, groupies, and has-beens. When her wallet gets stolen with the last of her money in it, Adara finds herself all alone in the big city, in something of a jam. Not one to depend on other people, or put them out, Adara finds herself wondering what, exactly, to do next. Nevertheless, she is not defeated. She pulls herself together and thinks rationally about her predicament. Not many twenty-year-old women are self-possessed enough to approach their problems in this manner. Personally, I found a lot to relate to in Adara’s character. Although the card-carrying feminist in me also found a few of Adara’s subsequent decisions to be cringe-worthy, it’s apparent throughout the novel that it is Adara herself who remains in control of her fate. On the whole, she leaves us with the impression that she is a perfectly capable, though somewhat flawed female lead, which, I suspect, goes against the stereotypical heroines found in most conventional romance novels. While she meets the pre-requisites of being young and beautiful, she is neither perfect, nor so weak that she must depend on a “knight in shining armor” to continually rescue her. Rather, she is just awakening to her own sense of self, because until she winds up in Los Angeles, her burgeoning “powers” had been suppressed. The “paranormal” aspects of the story also provide the bulk of the fast-paced action and chair-gripping suspense in The Binding of Adara, both of which serve to propel us through the narrative at a pretty good clip from beginning to end. There are at least three different sub-plots going on in the background as well, which add a depth and complexity to the narrative that, quite frankly, I had not expected to find in a romance novel. Firstly, picking up where we left off in the previous story, Brianna’s Bewitching, we have the romance between the witch, Brianna, and her cop boyfriend, Jack, who doesn’t yet know about Brianna’s, um, shall we say, “gifts”. Secondly, we have a centuries-old, over-arching conflict playing out between the community of witches and warlocks of Los Angeles and the “hammers” who hunt them. Finally, there’s a budding romance between Jack’s partner, Hanson, and another witch in the community, Carrie. On top of that, we must contend with the tormented backstory of the romantic male lead, Bowie Marsden, a warlock with commanding, albeit untapped powers who is also a Vietnam War veteran. Sounds like a lot to keep track of, right? Not at all – Ms. Silver adeptly weaves all these narrative threads together successfully by the end, however, ultimately crafting a tale that presents one of the most emotionally satisfying reads I’ve had in a very long time. Overall, I think it takes courage and skill to write a romantic heroine who is, at her very core, a survivor, and in Adara, we have that. Strong-willed and determined, she catches on quickly and is able to adjust from her missteps, without losing her sweetness and guilelessness. As Adara learns first to “see”, then take responsibility for, and finally wield her own power with some authority, (even if it means flying in the face of the norms and conventions of her era) we are taken along for a most spellbinding ride. I am not ashamed to admit that I’m a convert, and find myself very much looking forward to the sequel. 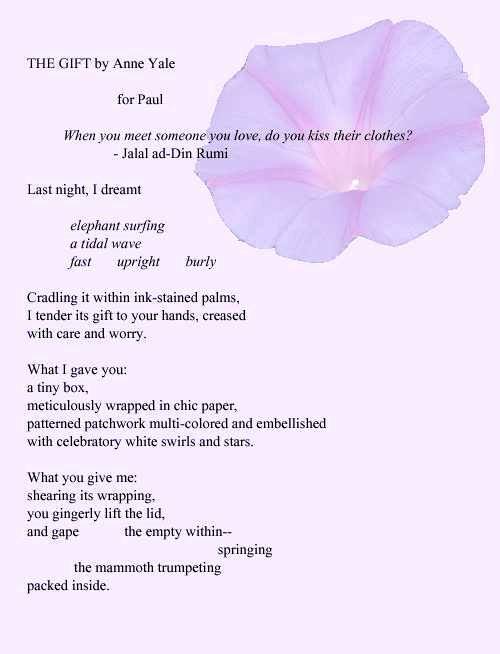 It is a love poem for my husband, from a new chapbook (Liturgy of Small Feathers, Yak Press) due to be released in July. But it got me thinking about reciprocity, and the initial impulse I had for writing the poem in the first place. We’re all familiar with the oft-repeated idioms and adages: “It is far better to give than to receive,” or “Give ’til it hurts,” and even “Charity begins in the home.” Each of these sayings express an idea that the giver of the gift is somehow greater, more noble, than the person who is on the receiving end, that there’s more love in giving something away. This idea suggests a fundamental inequality in the relationship between the two, and implies that the giver loses something that the receiver then gains. There is a very old love story about a knight who, due to some unlucky turn of events, is cursed to marry an ugly old crone. Much to his surprise, however, when he enters his bedroom chamber on his wedding night, he is greeted by the most beautiful woman he’s ever seen in his whole entire life. He cannot believe his extreme good fortune. This gorgeous woman explains that it is she who has been cursed, and what happens next is entirely up to him. She can either be beautiful by day, so that everyone at court and in public can see what a knock-out he’s had the great good fortune to marry, but then turn back into the ugly old crone who shares his bed in private at night, OR she can be ugly during the daylight hours and greet him at night as the beauty he sees before him now — the choice is his. 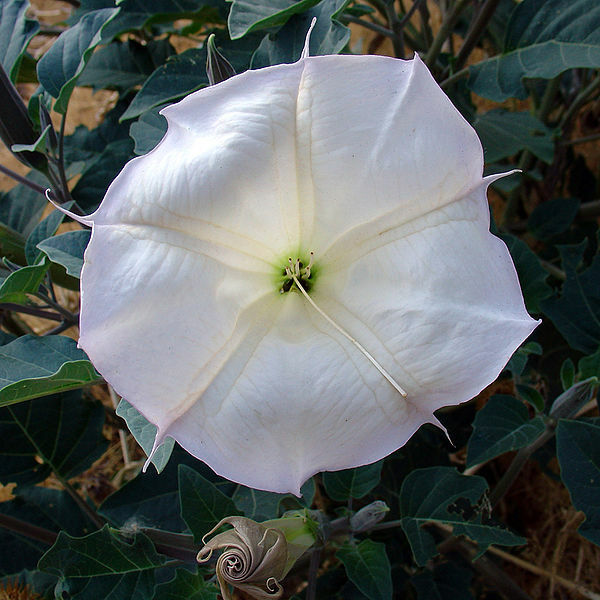 As legend has it, because the knight wisely recognized what women want (to control their own lives, their own fates) and acted out of love (and against his own self-interest) the curse was broken, and his gorgeous wife was freed to be completely her own person — and was, therefore, beautiful all the time, day and night. This story illustrates for me the kind of reciprocity true giving (and true love) is based on: a relationship between equals. One in which giving and receiving are the same. There’s an old Hindu proverb, “They who give have all things; they who withhold have nothing.” To give is to receive. When you extend love, both gain — there is nothing to lose. I am deeply indebted to Selene, my editors, my writing community and friends for all they love they’ve extended to me. But even more, I am grateful to my husband for his unflagging support in allowing me to continuously make my own decisions, be my own person, and choose my own fate. ~ Liturgy of Small Feathers, Native Blossoms Chapbook Series One, No. 2 available now from Yak Press.